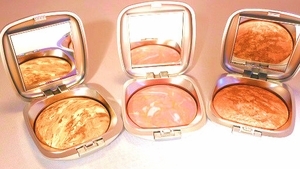 These baked, mineral blush beauties are paraben free, gluten free, allergen free and fragrance free. Swirl with brush to create your perfect shade. Available in both matte and frost.